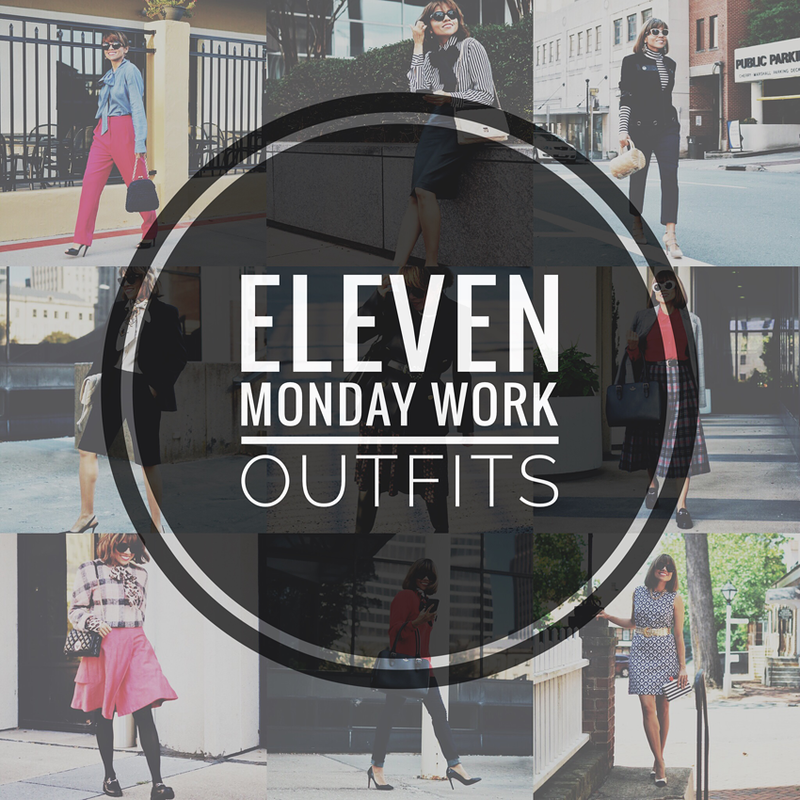 Eleven Mondays ago, I started my "Monday Work Outfit" series and so far, I've had so much fun creating Office/Work-friendly looks. I'm aware that some people have a tighter dress-code to follow at work, while some have a lot of flexibility. And because of that, I try to come up with looks that will apply to both situations. 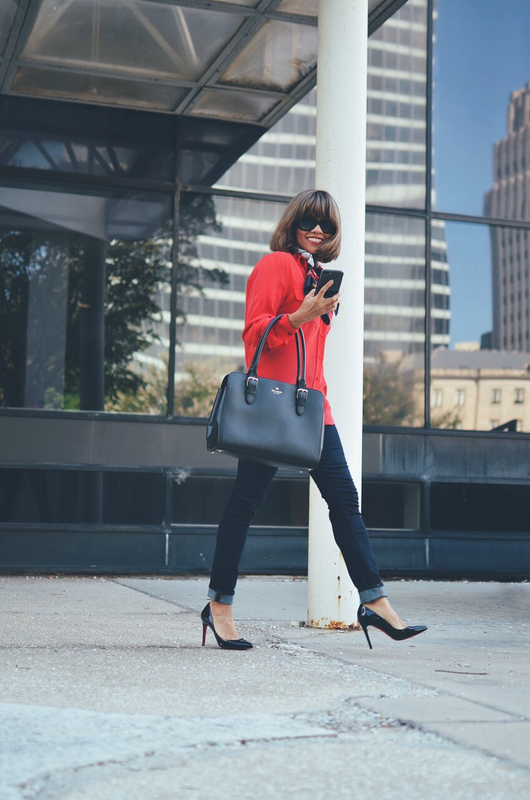 Today I'm doing a roundup of 11 weeks (11 outfits) worth of Monday work Outfits. Next Monday, which is the 1st Monday of November, I have a terrific colorful look to share with you under this series. But before that, let's take a look at this roundup. Click the "Look #" to find out more about that particular look. Look #1 it had to have a bright approach. I wanted to start my series with a simple, cheerful, elegant and yet work-appropriate look. Look #2 is suitable for an office environment where the dress code is more flexible and you can expose a little more skin and accessorize with flashy pieces. Look #3 is a great example of how to wear jeans to the office without looking too casual. 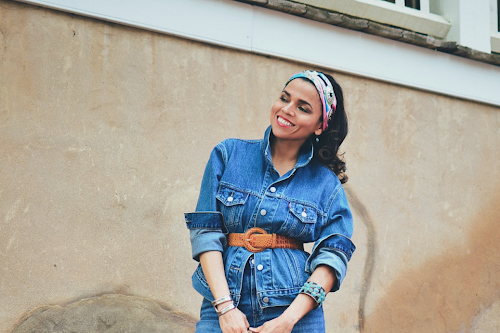 Wearing dark denim and adding polished pieces such as a silk blouse and scarf were the key factors in this look. Look #4 shows you a professional way of how to wear leather. Avoiding too shiny leather or too tight pieces is a must when wearing leather garments to work. Look #5 is all about a floral print. Not all florals are created equal, therefore, you must stick with a smaller print in order to look more professional. 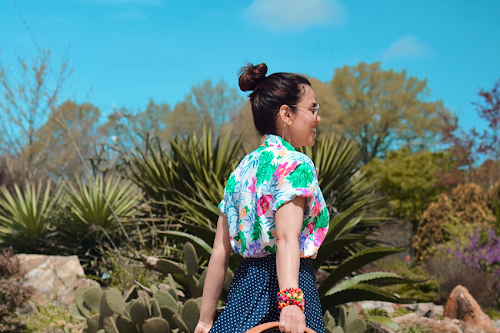 Leave the large floral prints for the weekend or days off. Look #6 was an example of how to make your weekend look suitable for work by wearing it with dressy heels and polished accessories. You can see the weekend look here. 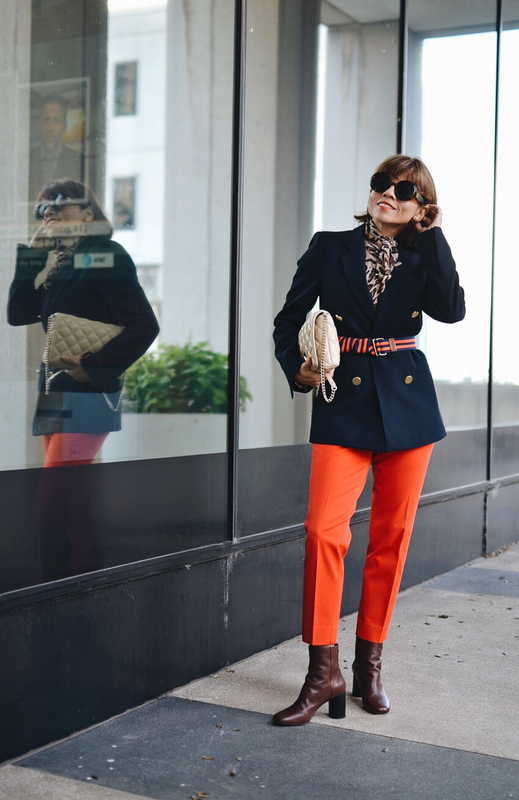 Look #7 is about injecting a bright color such as orange to your work outfit. Wearing very vivid hues with neutral colors is a clever way to balance things out. Look #8 is showing us how to wear more than one pattern and yet look office-friendly. Look #9 demonstrate us that they are easy and professional ways to wear shorts to the office. Just stick with long length shorts such as Bermuda styles made of dressy fabric and style them with blazers and classic shoes. 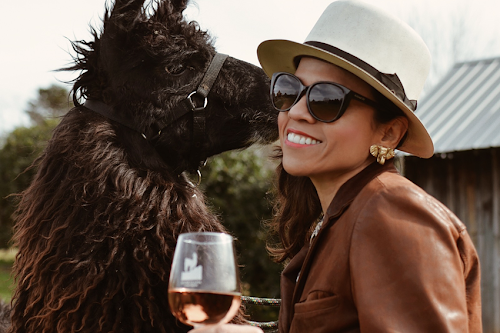 Look #10 is totally showing us that edgy pieces can be worn to the office mainly when they have a classic and classy design such as this jacket. And look #11 was styled around pink. 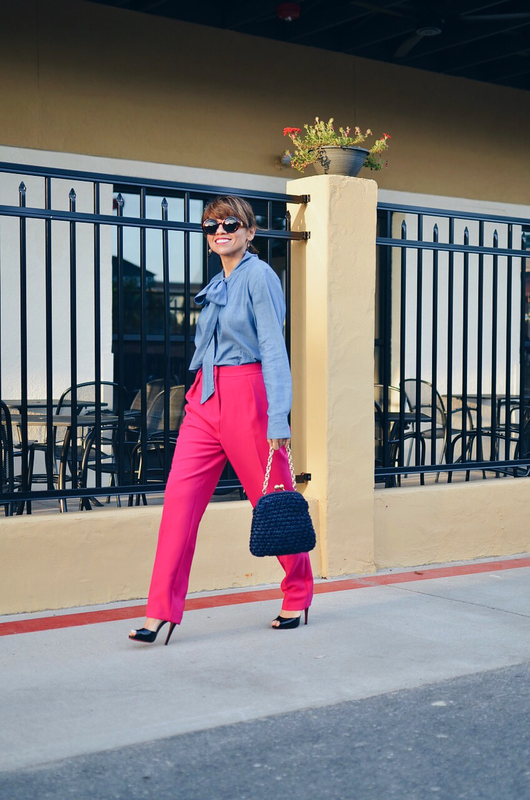 Yes, pink can be fun to wear even for work. 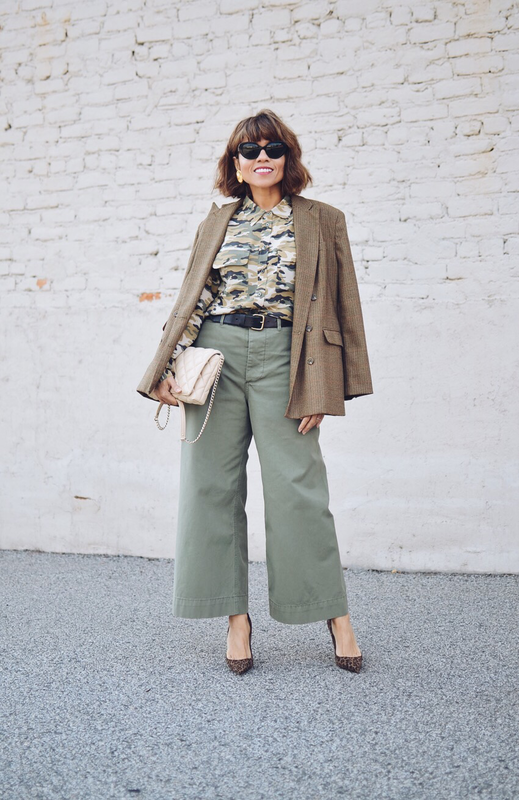 I hope you enjoyed my first round up of "Monday Work Outfit" series and don't forget to stop by next Monday to view a new look, which I can't wait to share with you.